On May 7, 1941, Sam Henderson became the first Oklahoma Highway Patrol trooper killed in the line of duty. Bill McClendon joined his fallen brother on Oct. 1, 2006, when he was struck by a tractor-trailer after pulling to the side of the road when he responded to a call. Between those two deaths, 31 other Oklahoma troopers have died while protecting the people of the Sooner state. It took only four years for the first trooper to lose his life after Gov. 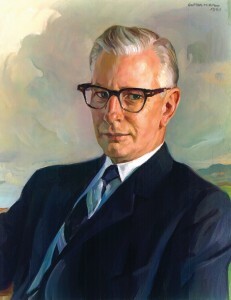 E. W. Marland commissioned the OHP in 1937. 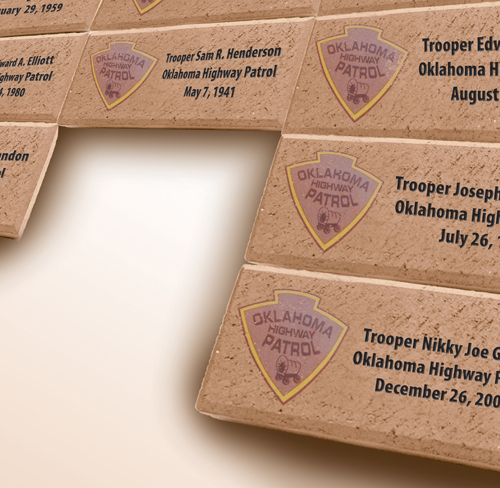 Over the years, the fallen troopers have been memorialized through various venues, including a memorial plaque in front of the Department of Public Safety in Oklahoma City, which memorializes all Oklahoma peace officers killed in the line of duty. However, in the next few months, the fallen heroes will have their own memorial-at Falls Creek. The board of the OSTA last week approved buying 40 bricks to be placed in the Falls Creek Plaza in memory of the 33 troopers killed in the line of duty. “While we hope we won’t need those extra bricks, we have to be realistic and plan for expansion,” said Rogers. He said the plaque in front of the Department of Public Safety had to be rebuilt last year to give more room for names. One trooper who many Oklahoma Baptists remember is Nik Green, who was killed on Dec. 26, 2003, when he stepped out of his car to help a stranded motorist who then shot him. Green, at the time, was youth director at Devol, First, where the youth department had grown to nearly 200 young people under his leadership. In 2005, the church dedicated a Christian youth center to Green’s memory. Rogers said he first became aware of the opportunity to place bricks in the new Falls Creek Plaza while attending church at Dougherty, First, where he is a member. Rogers said it is a fitting place for a memorial in that the Highway Patrol has had a presence at Falls Creek for many years. “I’ve been a trooper for 39 years, and we have had a representative from the department on campus all those years,” he said. Rogers has suggested a paver be placed at the top of the bricks for an explanation and then that the design be laid in the outline of the state of Oklahoma. Rogers said the Oklahoma Highway Patrol will have a representative present for the dedication of the Tabernacle on May 26.